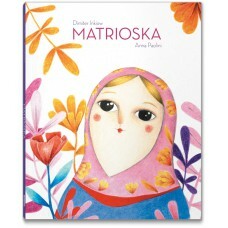 Matrioska tells the story of a carpenter particularly skilled at carving marvellous wooden dolls, vivid and colourful. One day, he creates such a beautiful doll that he decides not to sell it and keep it for himself; he calls her Matryoshka. One morning, the doll tells him she’s feeling sad and lonely, and wishes to have a child. At first, the carpenter is incredulous and suspects to have drunk too much vodka but, the day after, Matryoshka asks him again to have a child; the poor man has no other choice but obliging her. 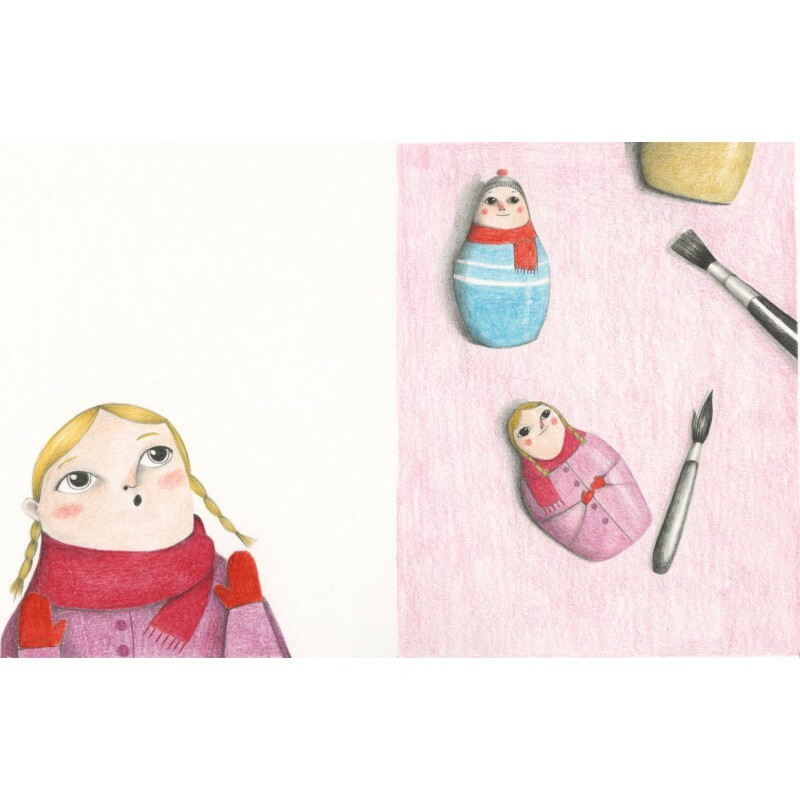 He goes back to work and creates Tryoshka, Matryoshka’s daughter, smaller but identical to her. 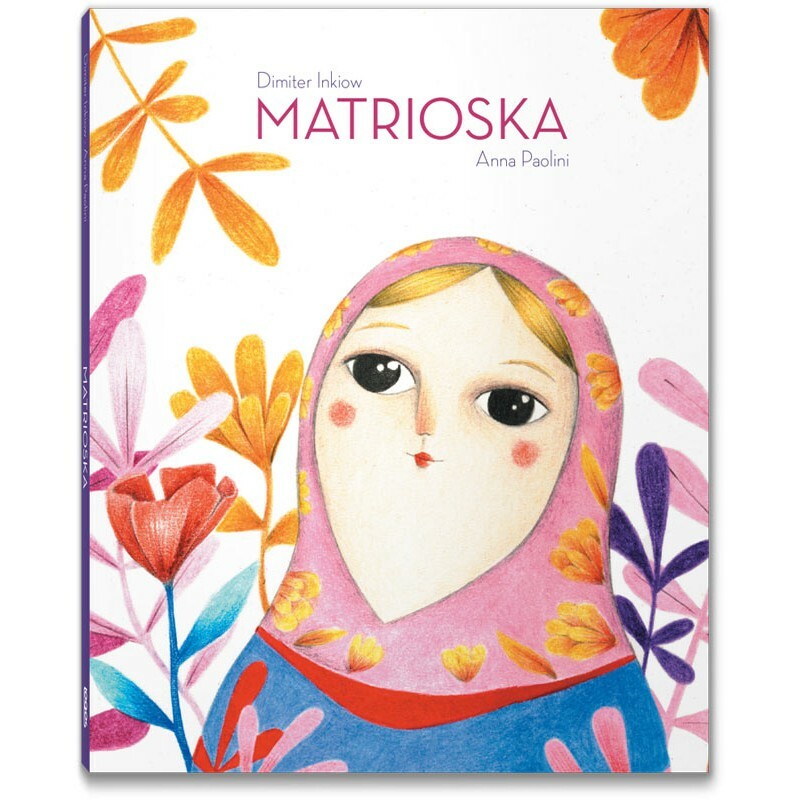 Matryoshka is so happy, and then asks him to put the daughter inside her womb; the carpenter cuts Matryoshka’s body in two and inserts Tryoshka inside it. 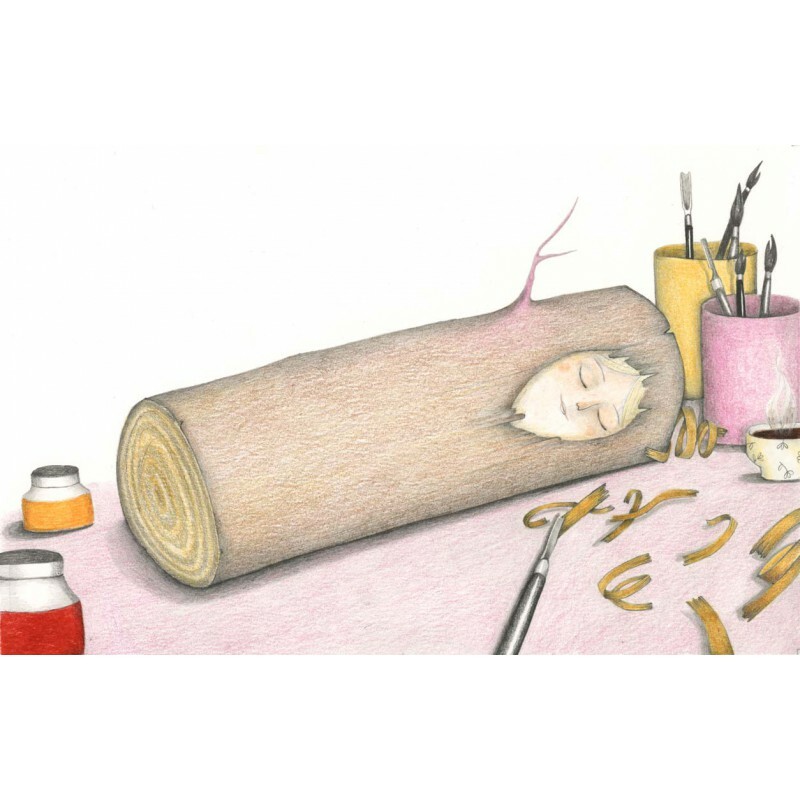 Nevertheless, soon afterwards, Tryoshka too asks to have a child inside her womb, and so does Tryoshka’s daughter… The poor carpenter already sees himself doomed to creating smaller and smaller dolls, forever and ever; but luckily, he finds a dodge to break the chain. The Bulgarian author, Dimiter Inkiow, makes up a funny and surreal legend about the origins of the Matryoshka dolls, the iconic Russian set of wooden dolls of decreasing size placed one inside another. At the same time, these traditional dolls offer the writer the opportunity to deal with delicate themes such as the maternal desire, the labour pain and the happiness of giving birth to a baby. 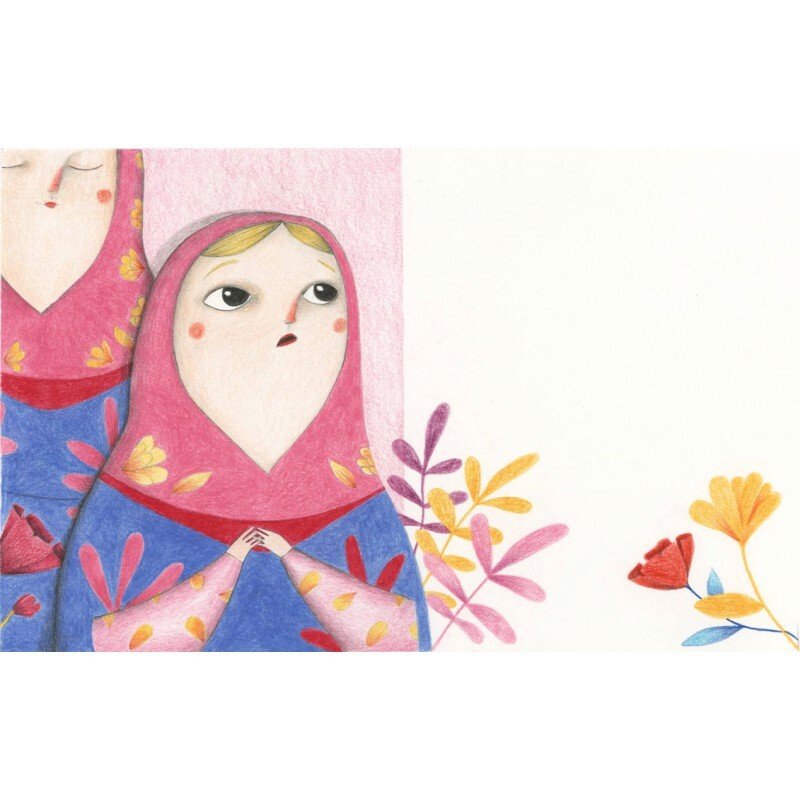 The vivid illustrations by the Bologna-based artist Anna Paolini, support the text in a feast of colours, made of the sweet shades of pink and the intense tones of magenta, cobalt blue, carmine and bright yellow-orange. 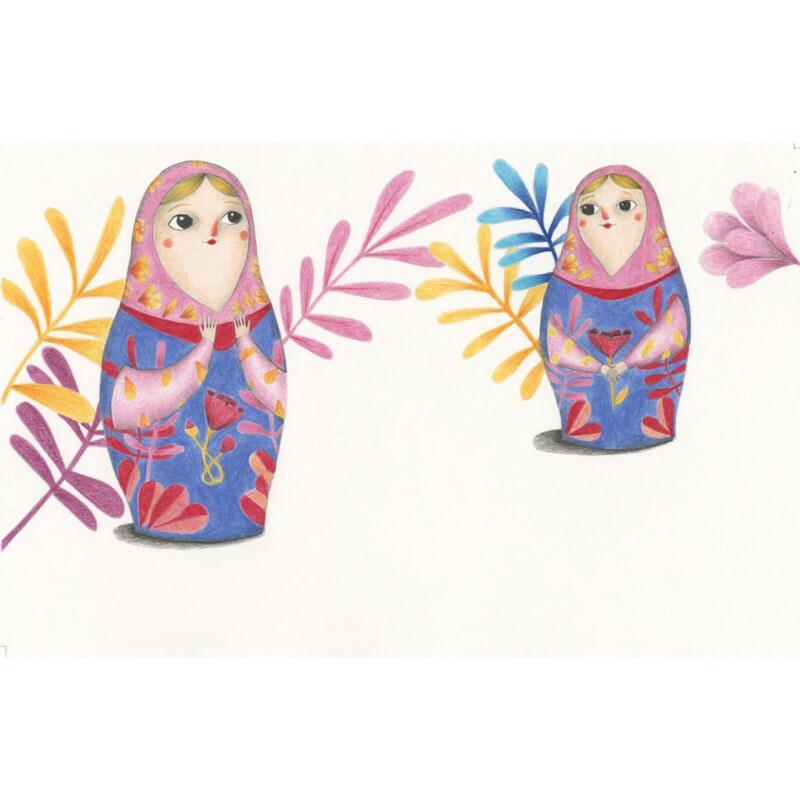 The illustrations feature soft lines and floral patterns and their intentional simplicity effectively recalls the pictorial style of the Matryoshka dolls. 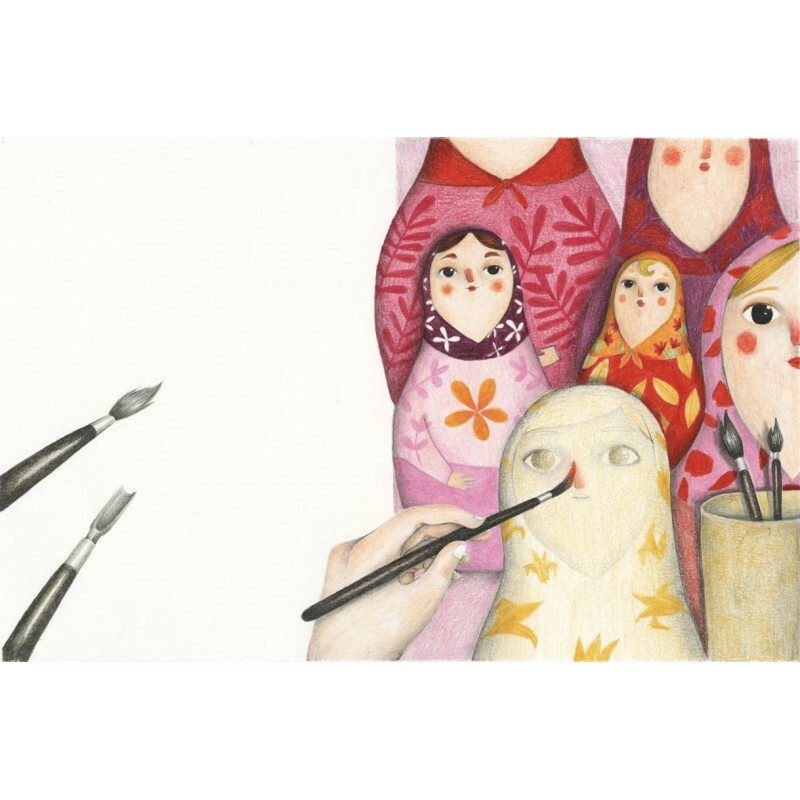 The “biblioteca della Ciopi” series presents a modern and charming fairy tale, through which children and adults will discover something more about the traditional Russian dolls… and about human nature as well. Born in Haskovo, Bulgaria, Dimiter Inkiow (1932–2006) wrote his first poem when he was 16 years old. While studying engineering at the University, he discovered he had a gift for writing and started to write short stories and articles for newspapers and magazines. After some time, he decided to leave the engineering department to entirely devote himself to his passion. He attended the Sofia’s Drama Academy where he graduated in 1958, and became a very successful drama director. Nevertheless, he was forced to leave his country in 1965 as a result of his criticism of the Bulgarian government. He moved to Munich, in Germany, where he spent the rest of his life. He worked as a script writer for the radio and published his first book in German: Die Puppe die ein Baby haben wollte. He wrote more than 100 children’s books, translated into 25 languages. His most important project consisted in rewriting a series of episodes taken from the Greek mythology, which gave also origin to several audiobooks. In 1997 he graduated honoris causa at the Sofia National Academy for Theatre and Film Arts. Anna Paolini is a freelance illustrator based in Bologna. After studying at the Fine Arts Academy of Bologna, she attended the Accademia Internazionale Comics (International Comics Academy), specialising in book illustration, and completed her training in 2012. Besides taking part in several collective exhibitions organised by the Associazione Autori di Immagini, she displayed her works in small private galleries (Open art gallery, Milan) and held two solo exhibitions in her hometown, Bologna. Her works have been selected and published several times on the #ILLUSTRATI magazine. #logosedizioni also published her first book, S’alza il vento (2018).